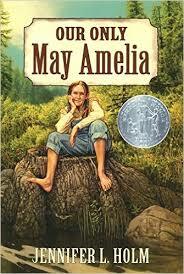 Jennifer L. Holm is a New York Times best-selling author and recipient of three Newbery Honors. Lin introduces one of her favorite authors, who excels with both novels and graphic novels (written with her brother Mathew). When Jenni's ballerina dreams fell apart at a very young age, she decided she wanted to be writer. 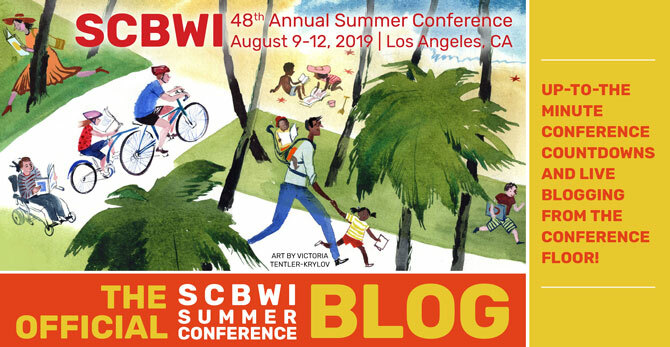 Much of her writing has been inspired by her own family. Jenni's dad was her inspiration for OUR ONLY MAY AMELIA after finding her great aunt's diary in her grandmother's attic. But Jenni tells us, when you write a book about your dad's family, you did it wrong. You should have written one about your mom's first. 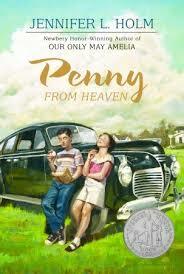 PENNY FROM HEAVEN was inspired by her mom's family. 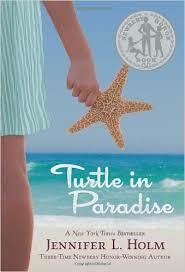 Jenni's next book TURTLE IN PARADISE came out of writing PENNY FROM HEAVEN and was inspired by her son. Jenni didn't want to forget her husband in all this inspiration. 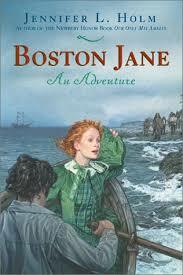 In BOSTON JANE, Jane falls in love with a sailor who has a scar on his cheek. This was the time she was falling in love with her husband. 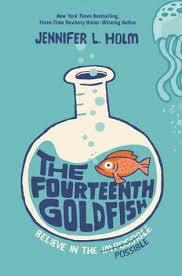 Jenni circles back to her physician father, who always talked about science, as the inspiration for THE FOURTEENTH GOLDFISH. 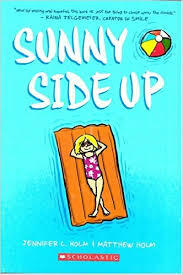 SUNNY SIDE UP was inspired by her gramps, who is "still alive and kicking at 101." 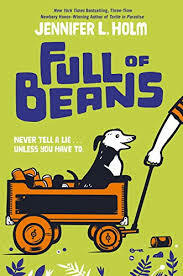 FULL OF BEANS, Jenni's upcoming novel comes back to Key West (where TURTLE IN PARADISE is set) and it's a book her son asked her write.